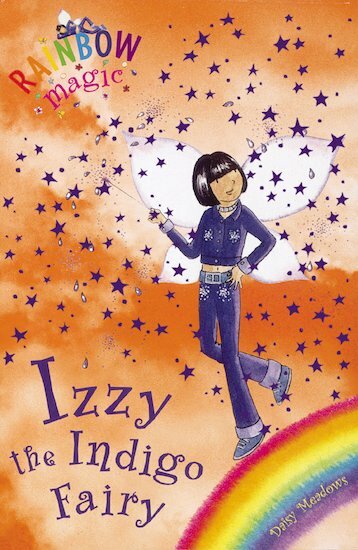 Izzy the Indigo Fairy is up to her usual mischief! Rachel and Kirsty must fly to the luscious Land of Sweets and bring her back to the pot. They now have to find izzy the indigo fairy. I read this book when I was around 7, and was obsessed with these fairies, but i liked this book the best. I remember a club i used to go to, and thats how i got to like these books, there fantastic! WOW! I GOT IT AS A PRESSIE AND INSTANTLY LOVED IT! This book is deffenatlly a 5 star book it is when Rachel and Kirsty get sucked ito a book that is the land of sweets and the goblins are there too.Really Good! Loved It. My fave Rainbow Magic Book.